Garland Nursery is proud to offer a Fountain delivery and hook-up service. 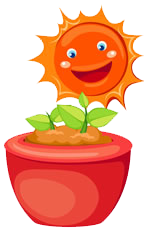 A Garland Nursery Representative will be happy to assist with delivery of your exciting purchase. We can also stay and set up your new fountain to assure everything is in proper working condition. Please read through this to guarantee great success with your new fountain. Please make sure all plants and obstructions (rocks) are cleared from the delivery path. Garland Nursery will not be responsible for any damage to pipes and cables. The area should have a hard compact level surface. Garland Nursery will not be responsible for any damage to pipes and cables. Please have a power supply running to the location. Fee is $35.00 per person. Over 10 miles from Garland Nursery is an additional $3.50 per mile. These conditions must be known before time of delivery. Fee is for 10 mile radius from Garland Nursery. Additional distance is $3.50 per mile. Please make sure you are satisfied with your hook-up before our crew leaves. Any additional trips will be an additional $30.00/hour. Fee is $30.00. This service is only available to customers within the Corvallis and Albany city limits. At Garland Nursery, we are committed to growing future gardeners. We believe that through gardening we can teach so much; like responsibility, patience, nurturing, joy and the sweet anticipation of something you care for coming to life. Exclusive Member-only sales and shopping events. No receipt required to return or exchange product purchased under your membership. Not sure what to buy but you know your loved one is an avid gardener? Do you live far away but remember all of the wonderful times you had a Garden Nursery with that special somebody? Surprise them with a gift card from Garland Nursery. Click here to buy gift certificate.